Social and emotional influences on health and well-being. Life changes and sources of support. The main work roles and skills of people who provide health, social care and children’s services; the principles of care. Health and wellbeing improvement plan, which includes targets and recommendations. Further Health and Social Care study at Key stage 5. This course will support students in accessing further studies at college and accessing the world of work. All the skills learnt throughout this course will support students in their future academic and personal development. *both of these units are assessed via formal written examination. *both of these units are assessed internally via coursework. Integral to the course will be trips, such as a visit to the Royal Berkshire Hospital and other local health and social care settings, such as pre-school nurseries and schools, residential care centres, drug and alcohol rehabilitation centres, pharmacists, day centres for the elderly or people with special needs, hospices for people with terminal illnesses and hostels for the homeless. The course is designed to provide students with a specialist work-related qualification in health and social care, which is recognised by employers and universities. It allows students to develop a wide ranging theoretical education whilst also gaining valuable work experience in this demanding field. An essential part of the course looks at the functions of the body and factors affecting its growth and development. This is a comprehensive course for individuals wanting to progress into higher education and/or a career in a wide range of professions within the fields of health and social care. It provides a specialist work-related programme of study, equivalent to one A level. BTEC in Health and Social Care (Level 2) at Merit or above or GCSE English Language at grade 4 or above. 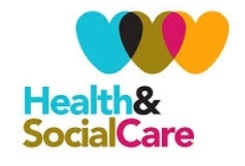 Health and Social Care is an exciting, practical and diverse course which will support all students who wish to have a career within the field of Health, Social Care and Education. This course will support students in accessing further studies at University and accessing the world of work. All the skills learnt throughout this course will support students in their future academic and personal development.